Before European invasion, Australia had around 500 Indigenous languages. Today, there are around 120 that are still spoken at some level, but only 13 that are still spoken by children (Marmion, Obata, Troy, 2014). While awareness of and concern for the loss of Indigenous languages in Australia is slowly increasing, there is a notable absence of opportunities to study Indigenous languages at tertiary level. A group of academics has convened a working group to explore ways to support and promote the Teaching of Australian Indigenous Languages at University (TAILU). This group was recognised at the LCNAU Annual General Meeting in Adelaide in November 2017. The group aims to facilitate access to Indigenous language courses for students from all over Australia, including those at universities that currently don’t offer such courses. This will involve networking with other unis and supporting cross-institutional enrolment. An eventual goal is to create a degree in Indigenous languages, possibly drawing from various courses from different universities. There is also a need to support and advocate for better training for teachers of Indigenous languages. The first outcome of this group has been to develop a Summer School to enable more students to enrol in existing courses through intensives. 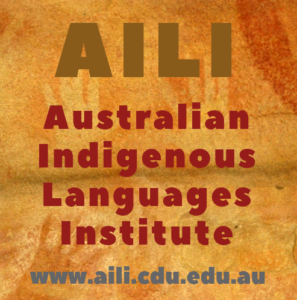 This is part of a proposal to develop an Australian Indigenous Languages Institute – see www.aili.cdu.edu.au for more information. The place of Indigenous languages in Australian universities was a feature of the 2017 LCNAU Symposium in Adelaide, and some publications from that event are forthcoming. If you would like to be included in future discussions in this area, contact the facilitators. Amery, R. (2007). Aboriginal language habitat in research and tertiary education. In G. Leitner & I. G. Malcolm (Eds. ), The Habitat of Australia’s Aboriginal Languages: Past, Present and Future (pp. 327–353). Berlin: Mouton de Gruyter. Gale, M.-A. (2011). Rekindling warm embers: Teaching Aboriginal languages in the tertiary sector. Australian Review of Applied Linguistics, 34(3), 280. Simpson, J. (2014). Teaching Minority Indigenous Languages at Australian Universities. In Proceedings of the 18th FEL Conference. (pp. 54-58). Okinawa: Foundation for Endangered Languages.